Grain Free Butter Top Dinner Rolls. 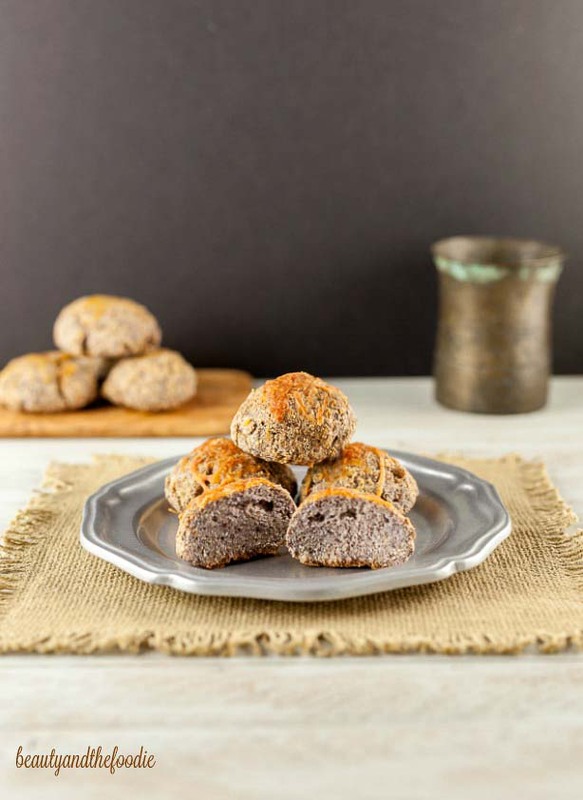 Grain free butter top dinner rolls that are low carb, paleo, and primal. 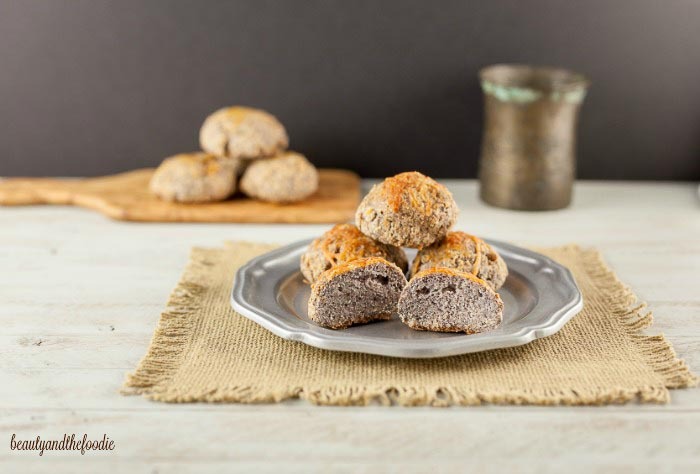 These Grain Free Butter Top Dinner Rolls are low carb and paleo bread rolls with butter brushed on top and baked. 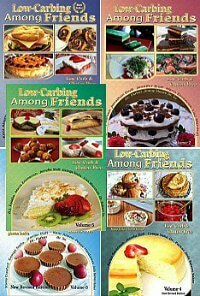 They are also good with optional melted cheese on top for primal or low carb, or keto diets. A kind viewer that knows I have tummy issues from Xanthan gum, had recommended that I try psyllium husk powder in my bread recipes instead. So, I tried using it in these rolls and found that is works well in baking, and did not upset my tummy. I found the psyllium husk powder on Amazon, but it is also carried at most health food or natural food stores in the supplement section. It is a high fiber seed husk like flax seed. These made an easy to work with dough that had a wonderful texture. The bottom of this post has some links to some great ideas for using leftover egg yolks. 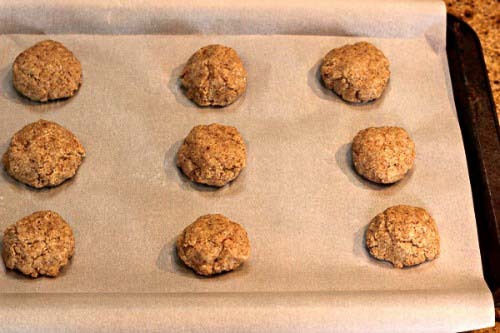 Preheat oven to 350 F, and grease or line a baking sheet with parchment paper. In a large mixing bowl combine: ½ cup almond flour, ⅓ cup coconut flour, 3 ½ tbsp psyllium husk powder, 2 ½ tsp baking powder, 2 tsp granular sweetener of choice, and sea salt. Mix together thoroughly. Set aside. In a second large mixing bowl combine: 6 egg whites, 2 tbsp melted butter, and1 ½ tbsp apple cider vinegar. Mix together thoroughly. pour the egg mixture into the dry flour mixture and stir together well until dough forms. Pour the ⅓ hot water over the dough and stir into the dough until dough forms again. 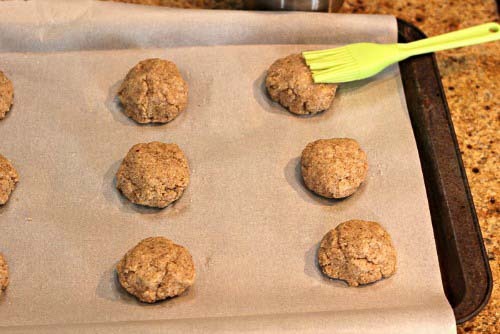 Form dough into 9 rounded mounds with your hands, and place onto baking sheet. Brush the tops lightly with melted butter. Bake for 40 to 50 minutes. Remove from oven. Can sprinkle the tops with optional cheese if desired. Serve and enjoy! If rolls are still doughy in the center, then return to oven for a few minutes, or can microwave for 25 seconds. Nutritional Data for Low Carb Version: Servings: 9 rolls, Serving Size: 1 roll, Cal: 139, Carbs: 12.5 g, Net Carbs: 5.5 g, Fiber: 7 g, Fat: 9 g, Protein : 4 g, Sugars: 1 g, Sodium: 182 mg. 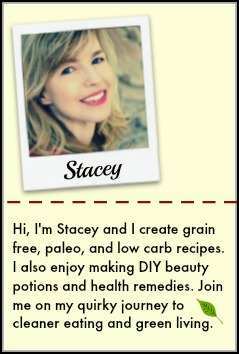 I am new to Psyllium husk, have enjoyed and saved your recipes to try, they sound delicious. 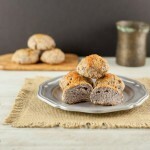 THIS LOOKS SO GOOD, LOVE YOUR RECIPES!, ALSO WOULD YOU PLEASE DO A BUTTER CLOVERLEAF ROLLS RECIPE, LOVE CLOVERLEAF ROLLS, BUT CAN’T FIND ANY LOW CARB GRAIN FREE ONES. Hi Kelly, Thank you so much, sweet lady! I will have to figure out what those are first. The name sounds heavenly! A question re the egg whites. Given that they aren’t whipped, is there any reason not to use whole eggs? Say 3 or 4 whole eggs instead of 6 whites? I’m curious about what the whites add that whole eggs would not. The egg whites tend to be lighter than the yolks in bread recipes even without whipping them. These look lovely! Pinning to try soon! I love your website. We eat very similar to the way you do–mostly Paleo, except for a few organic dairy products. We tend to use low-carb sweeteners as well instead of the Paleo sweeteners. 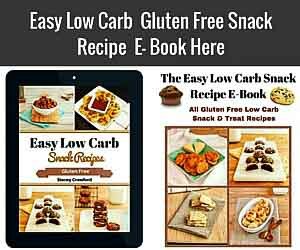 I sure do appreciate all the work you do coming up with grain free and low carb recipes! As a former biscuit lover, giving up grain has been, well, not hard, but unsatisfying would be a better adjective. Thanks again for your work. Thank you Mary Ann. 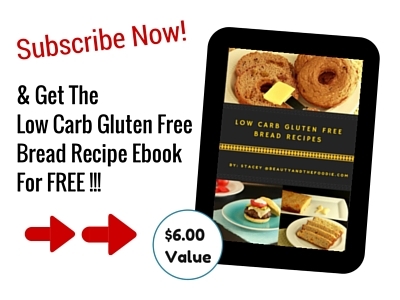 I know what you mean, I am always on a quest to make better low carb grain free breads. I love low carb bread recipes that don’t make me miss carbs! This is perfect for just that! Great job!! This grain free roll option will come in super handy for when we are entertaining guests who can’t eat grain! Thanks so much for sharing this one! This sounds delicious! I’m adding them to my must try list. This looks great, my daughter is coeliac so will give them a try. Nice! I need to give this low carb rolls recipe a try! Lots of fiber with your swap too! Great recipe! Ive seriously missed the bread ever since I started eating lower carb! This is a great roll recipe that I would love to try asap! In the grated cheese it 1/3 cup correct?